MannionDaniels’ director, David Daniels, visited the Wanakhaki Self Help Group in the Teso area, Bungoma County, Western Kenya. 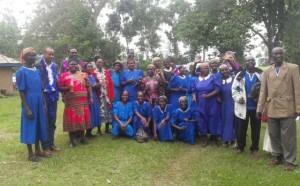 The Wanakhaki Self Help Group are supported by Send a Cow, Newton St. Loe, through a UK Aid Direct Grant implemented by Send a Cow Kenya and Heifer Kenya. The project started in October 2013 and works to stimulate wealth creation for smallholder subsistence farmers across seven counties in Western Kenya. The majority of households in the Western provinces rely on agriculture for their livelihood, however food production fails to meet demand and smallholder farmers face a variety of issues effecting productivity, with limited access to reliable markets to sell surplus produce. Health issues, such as high HIV rates, leave some farmers without the capacity to work their land and gender inequality means women are often excluded from decision making. 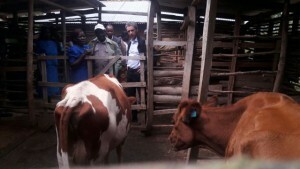 The Send a Cow project targets 9,500 families to train groups of smallholder farmers on sustainable agriculture methods, animal management, provide quality livestock and promote gender and social development. Increasing access to markets through business development training by setting up co-operatives and marketing hubs, and ensuring women participate and benefit throughout are key functions of the work. My life was very difficult in the past, but through the training I now don’t need to borrow food from people. I had to borrow money for school fees for children but now I sell milk and vegetables to pay. 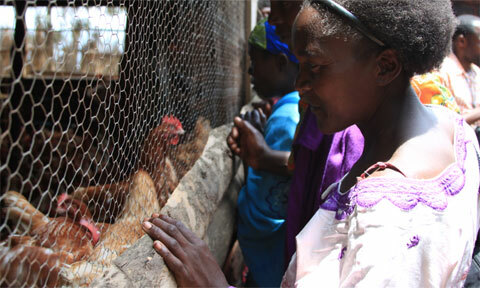 David went on to meet all of the members of the group to hear their stories and was taken on a tour of the farm.